Who in the world has a problem praying? Certainly not anyone I've met...Our Pastor doesn't, my Mama never did, no one ever did on the Waltons and even my littles don't...so why did I? A question I'd asked myself a million times inside my head. For some reason I've always felt guilty asking for things for myself during prayer. I would gladly pray for everyone else but when it came to me, I just couldn't do it. Have you ever had a praying problem like I did? Do you wish you had a deeper prayer life? Are you new to prayer or wish you felt you were better at it? Do you want a deeper connection to God through your prayers? I know y'all, me too! Then this is the book for you! 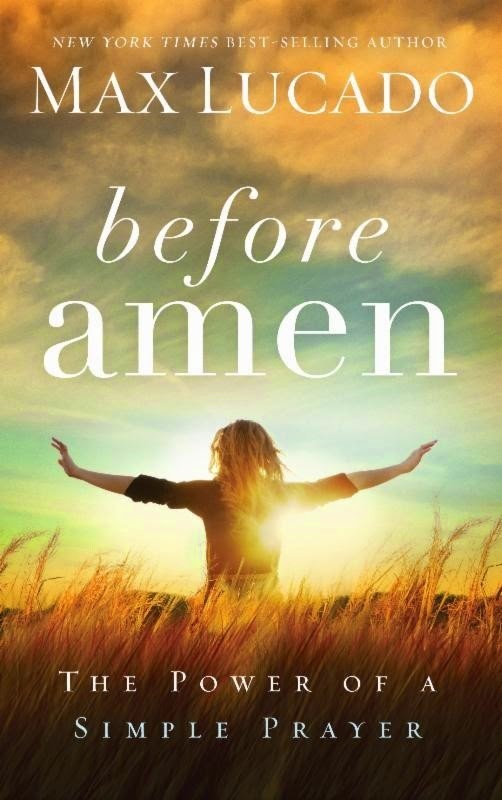 This is a great book to help you build a deeper prayer life. If prayer is something you struggle with (and this is an area I think we all can grow in), this is a great book to work through. I love that this book is easy to understand, but complex in meaning. I'm not a fan of needing a dictionary beside me to read a book. This book is understandable, straight away. Max admits to being a prayer wimp, which I totally understand. I think there’s a little wimp in all of us, but thankfully we can learn to pray with greater confidence and boldness…this book will show you how! Special THANK YOU to LitFuse for providing me with a review copy. My review is my own personal opinion.